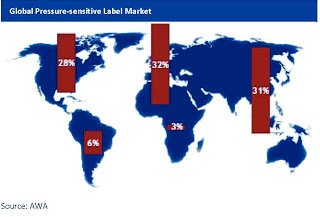 Recently added to the extensive portfolio of market reports from AWA Alexander Watson Associates on the pressure-sensitive label industry is the Market AWAreness Report Global Pressure-sensitive Label Market and Technology Review 2011. 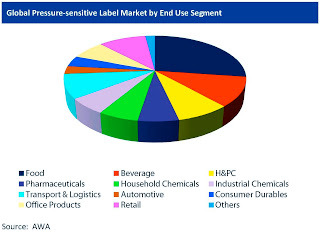 Setting the context and agenda for the new business year, the report presents market segmentation in the pressure-sensitive label industry by region, detailing volume growth,material trends and developments, key converting and application technologies, and more. 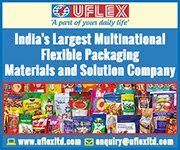 It is designed to provide an analysis of current status and future opportunities for pressure-sensitive label producers, laminators, material suppliers, and end users. Globally, pressure-sensitive labels are the second largest labeling technology of choice - with growth mainly driven by developments in Eastern Europe, Asia Pacific, and South America, as the report shows. AWA also document the significant shifts in material selection currently experienced in all geographies, and influencing the supplier base, choice of converting technologies, and end-use markets. Overall, the new study represents a thorough guide to the market structure and end-use dynamics in an industry where – compared to other labelling technologies – the value chain is both complex and extended. 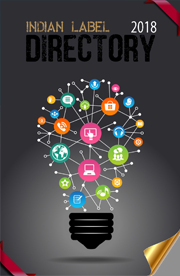 It concludes with a company directory. The Market AWAreness Report Global Pressure-sensitive Label Market and Technology Review 2011is available now, and full details are available via AWA Alexander Watson Associates’ website, www.awa-bv.com, where it is also possible to order the report online. Tickets for drupa 2012 to be available online..